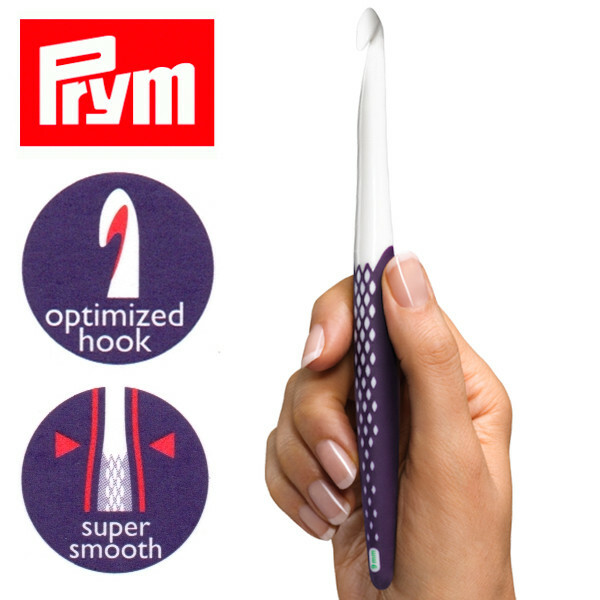 Prym Ergonomic crochet hook is Prym's new flagship in quality crochet hooks, which is extraordinarily good as well as very pleasant to handle. 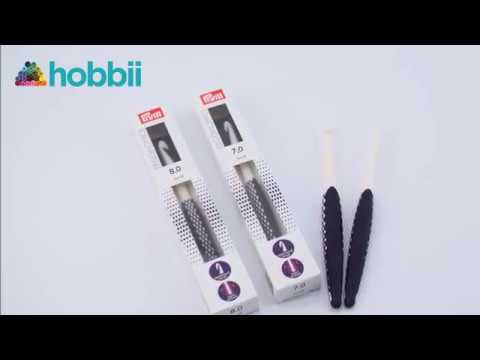 The crochet hooks are ergonomically designed to hold your hands well and give you many hours of crochet without getting sore hands and wrists. The crochet needles are 17 cm long and are sold in sizes from 3 mm - 15 mm. The sizes are in different colors at the bottom of the crochet hooks, as you can see in one of the pictures. I really like theses hooks. Have in several sizes and really like the feel of the Handle. The plastic hook isn't always as smooth as a metal hook, but this slight flaw is made up for by the the comfort of the handle. Will definitely buy more sizes. 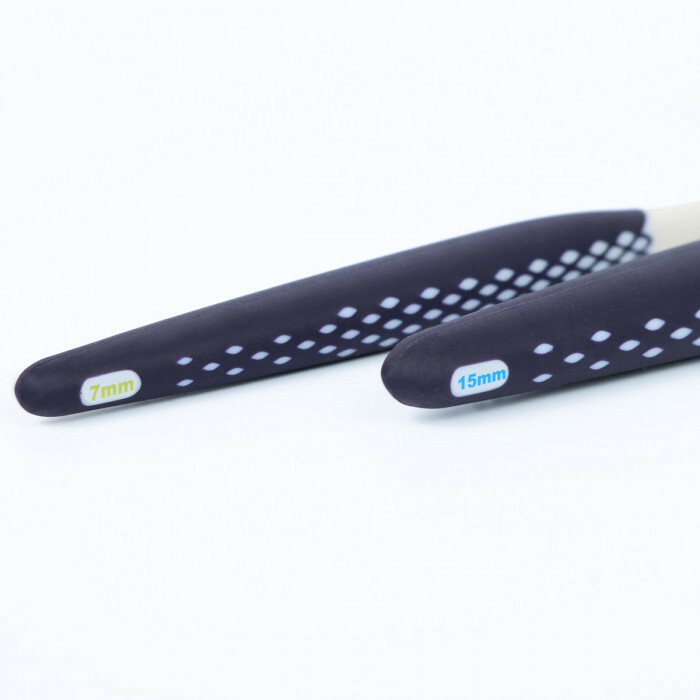 Bought this with the hope my hand would like it.NO,it does not glide with the yarn at all.I tried 4 different types but no....My arm and hand was so sore and hurting for 2 days.I have tried to connect with the company but NO answer at all.Bad choice!